The Ensemble William Byrd takes its name from the most important English composer active in the Tudor period, whose music was the basis of our repertoire in the early days of the Ensemble. On the cusp between the Renaissance and Baroque periods, his works and career illustrate much of what Graham O’Reilly seeks to do with the Ensemble – bring out the contrasts between different periods and styles, and the evolution of approach necessary for convincing performances. Persuaded that the insights provided by diversity can only add to the quality of its interpretations, the Ensemble proposes three hundred years of vocal music – from 1450 to 1750. 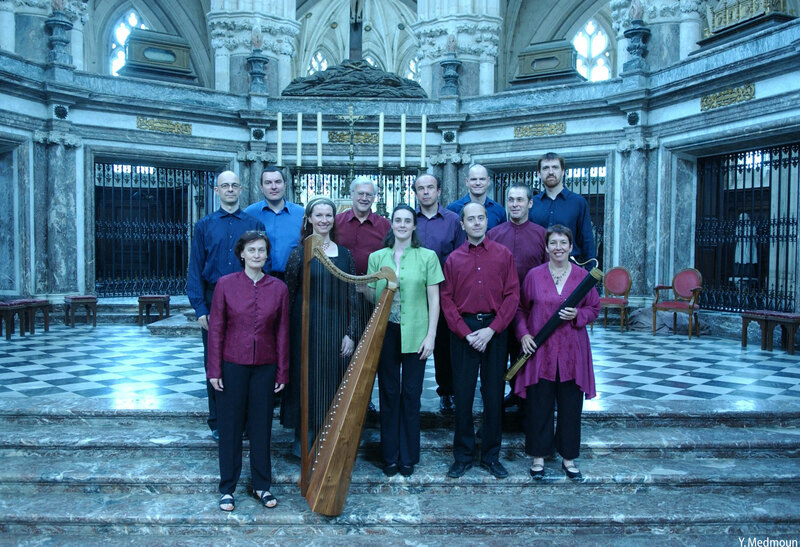 For more than twenty years now, the Ensemble William Byrd has been regularly invited to many of the largest Early Music festivals, in France, thoughout Europe, and further afield. Our earliest concerts were often devoted to some of the greatest and most ambitious works: Tallis’s Spem in alium for 40 voices, and Biber’s huge Missa Salisburgensis, both for the Festival de la Chaise-Dieu. Among others were Ecce beatam lucem (another 40 part motet, by Striggio) and Brumel’s Missa Et ecce terrae motus for 12 voices (Festival des Cathédrales de Picardie, 1996), the Monteverdi Vespers, and Handel’s Dixit Dominus and La Resurrezione.